Alright, time to come clean. I haven’t been the best food blogger the last couple of days. And I’m okay with that. I tried, I really did. 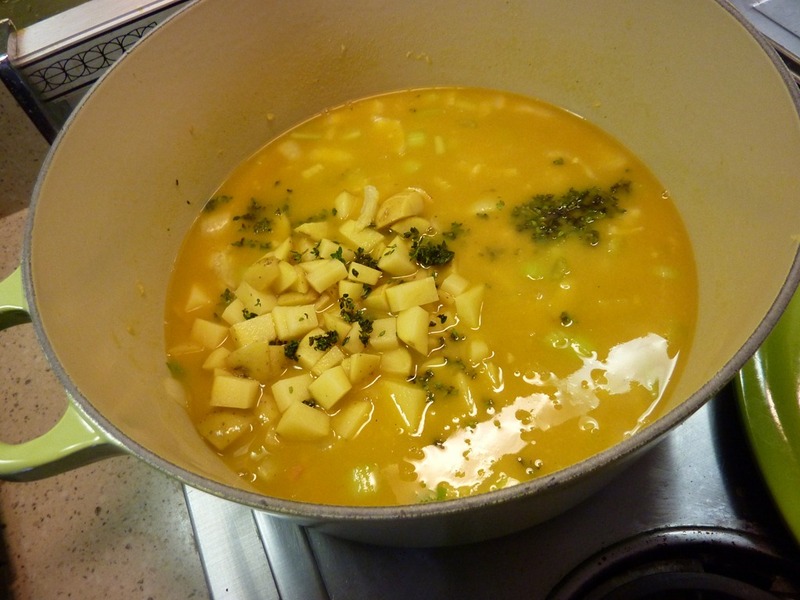 This past weekend I made this recipe for Chilean Corn and Un-Turkey Chowder from vegetariantimes.com and it was BLAH. Tasteless. I partially blame the SUPER LOW sodium vegetable broth I bought. 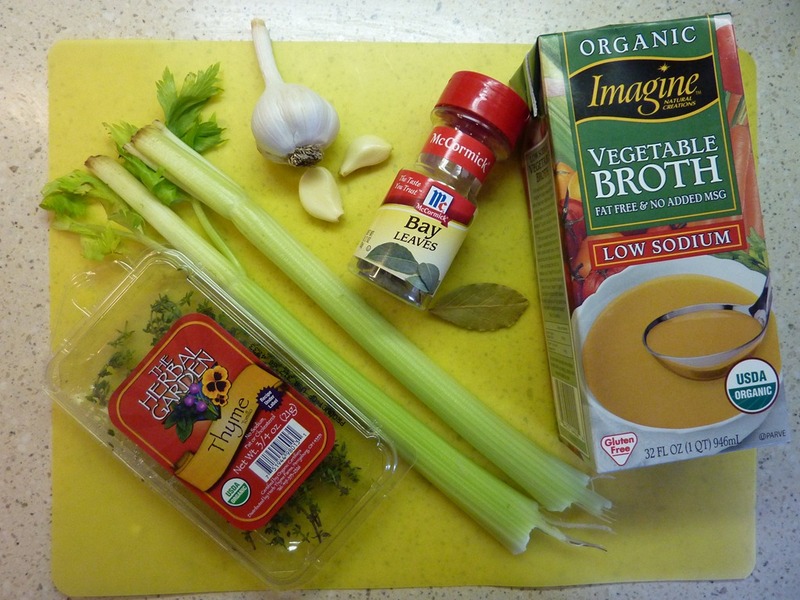 Typically, broths have around 950ish mg sodium per serving (that’s a TON), and I typically like to buy broths that cut down their sodium intake by at least 33%, and preferably by 50%, so that the sodium level is closer to 450mg per serving. This broth was SUPER low in sodium, relatively speaking. I don’t remember the exact amount, but it was around 140 mg per serving. Aka TASTELESS. Won’t be buying it again. So in any case, this poor soup was more or less inedible and very unappealing. I’ve been having an unlucky streak the last few days with my recipes! Oh well, I guess they can’t all be good. I will certainly be avoiding trying vegetariantimes.com’s recipes, as well as super-low sodium broths for a while, let me tell you. After going vegetarian for 9 days in a row, after this soup fiasco, I’d had it. And really, after the day I had yesterday in general, I’d had it. Up to HERE (holds arm in sky at arbitrary level). I needed something gluttonous, delicious, and above all, meaty, STAT. 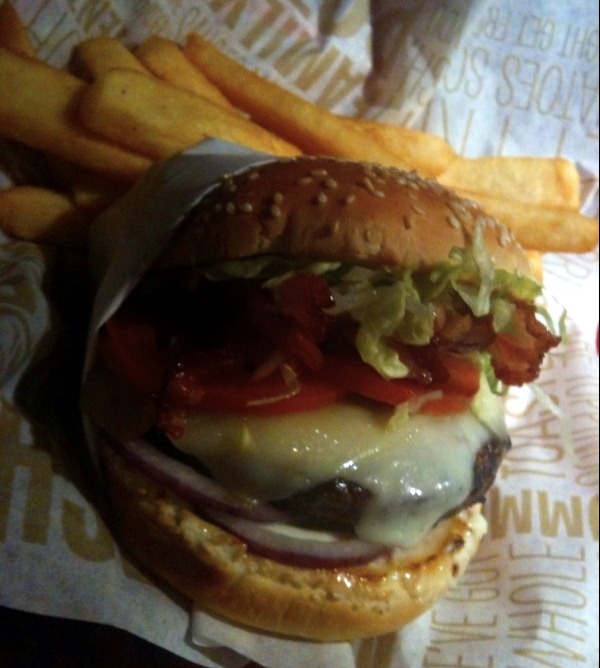 Cue Red Robin burger + fries + nachos. And guess what? This morning, even after my sodium bloat, I hit my lowest weight since I started calorie counting. 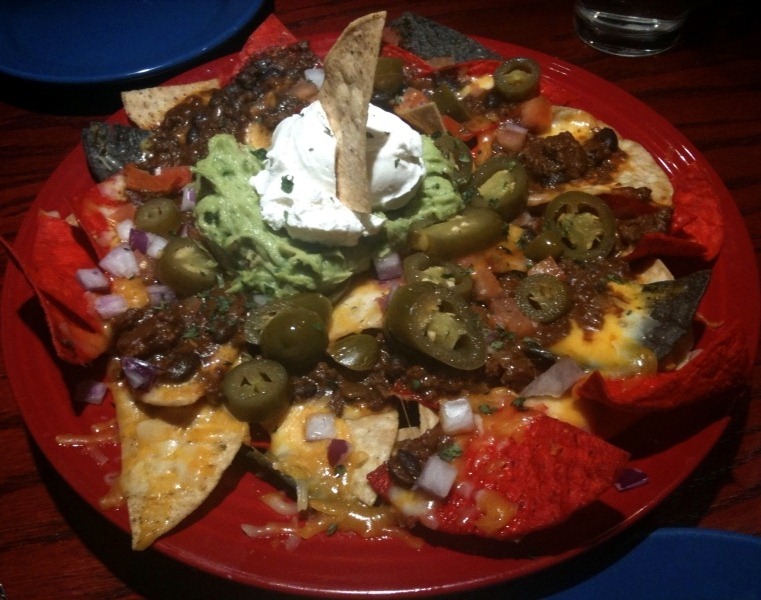 It’s what we call the Red Robin Diet, kids. SCORE. Today I didn’t cook a thing. It was full of convenience foods. Clearly if you read the blog, you know I cook a lot. 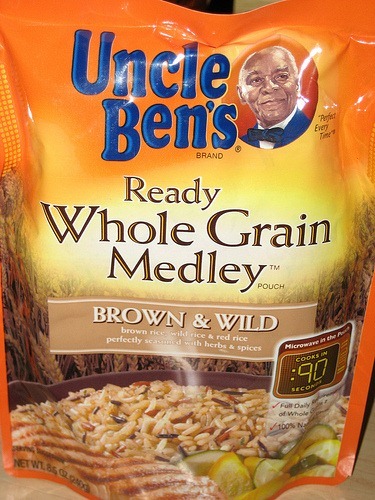 Sometimes though, there really are days that convenience foods are a blessing. I justify today’s foods by saying it’s better than if I had ordered pizza (which I’d strongly considered). 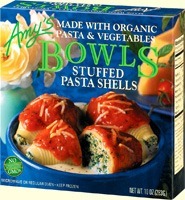 I have a slight (and by slight I mean huge) obsession with Amy’s bowls, especially for lunch. Vegetarian + low calorie + organic (often) + delicious!!! + affordable + EASY for someone with a full-time job. 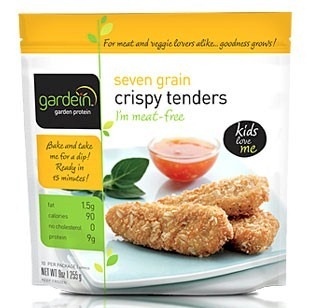 I tried a new meatless protein tonight: Gardein Crispy Tenders. Yes, I am back at reducing my meat intake today, even after Red Robin burgers yesterday. These Crispy Tenders were surprisingly tasty!! I really liked them! The texture was appealing and not that far-removed from that of real chicken. The hub liked them too. Will definitely be trying some other varieties of Gardein’s meatless products. 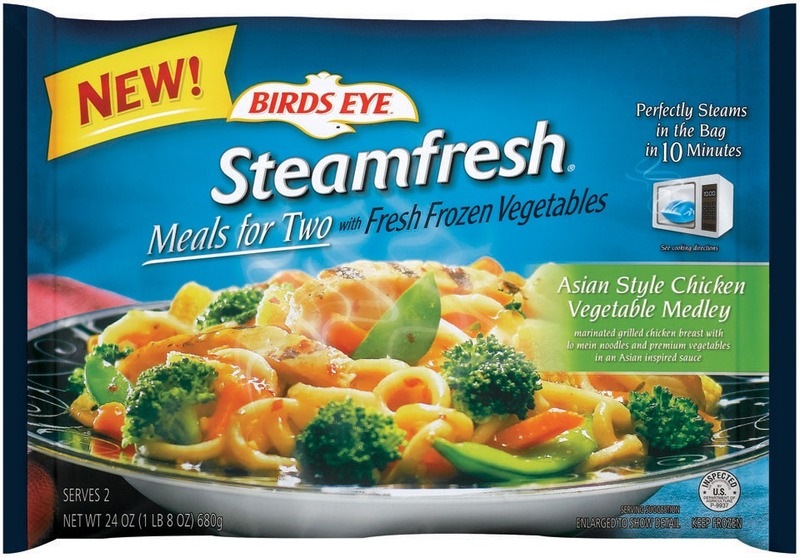 More sodium-filled convenience foods. Yeah yeah. It happens. Could be worse, right? And you know what? This was a tasty meal. Hummus + dippers + homemade guac (to use up an avocado on it’s way out) + tortilla chips also consumed at various points throughout the day. Probably should’ve fit more fruit/veggies in at some point. There’s always tomorrow, right? And tomorrow, I will most likely be cooking a Black Bean Sweet Potato Chili – cross your fingers for me! Hopefully no more recipe duds this week! Feel your pain about failed recipes, Meg. There’s very little more exasperating to a cook’s spirit than wasting time and ingredients on a once-promising recipe only to find it blah and inedible. Unfortunately, it happens to everyone periodically. The odds are now in your favor — the next one is sure to be a winner! I’ve really reduced my meat intake, but have yet to try some meat alternatives. I’m interested in those chicken tenders! Pingback: Buffalo Chicken…or “Chik’n”? « Meg.Goes.Nom.Nom. Pingback: Everything But The Kitchen Sink Cookies « Meg.Goes.Nom.Nom.